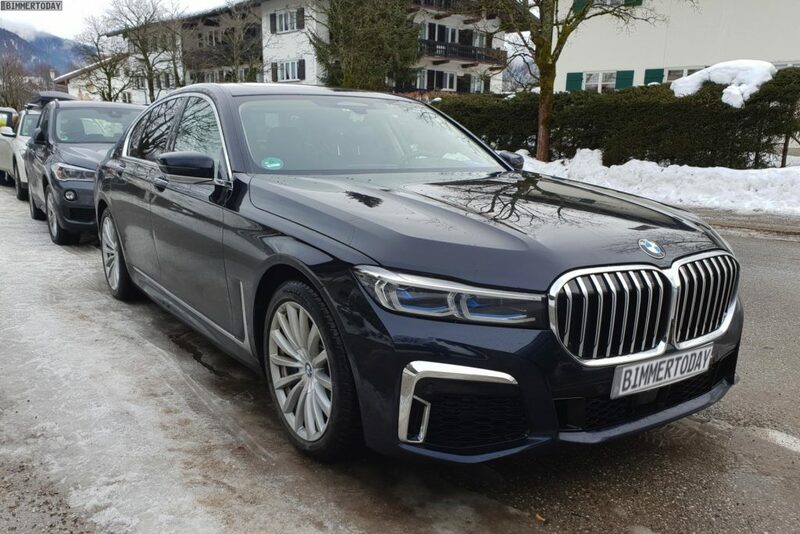 Tema en 'Foro General BMW' iniciado por cybermad, 11 Feb 2019. 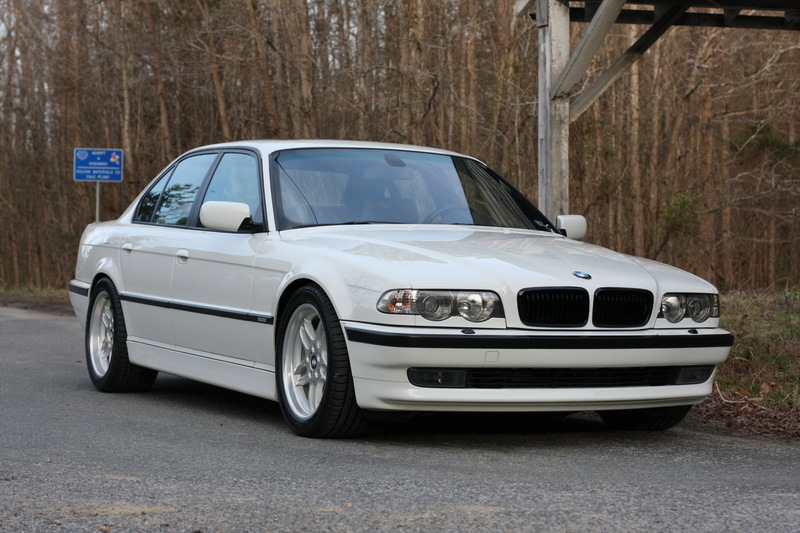 This 2001 BMW 740i started out as standard-wheelbase Sport model in Alpine White and was purchased by the seller from its original owner in October 2016. 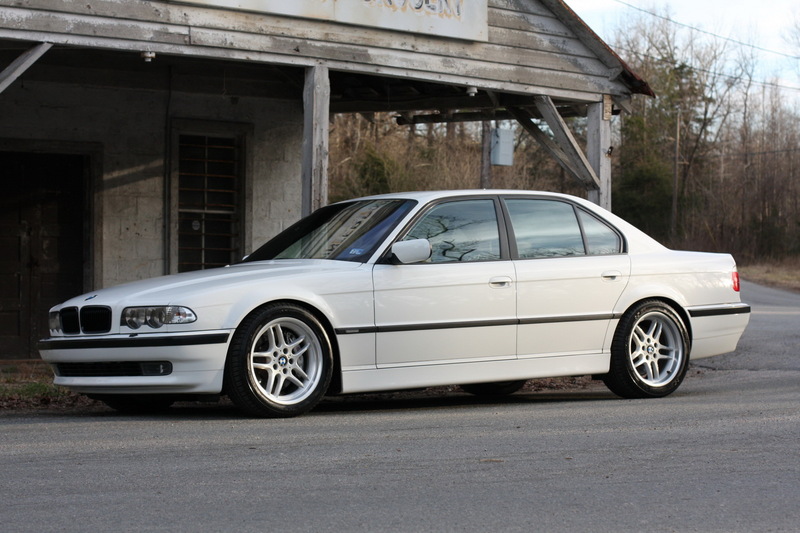 The car has since been fitted with a rebuilt 4.9L S62 V8 and a 6-speed manual transmission from an E39 M5 as well as an ESS supercharger, Brembo big brake kit, modified suspension, custom caramel leather interior, and more. 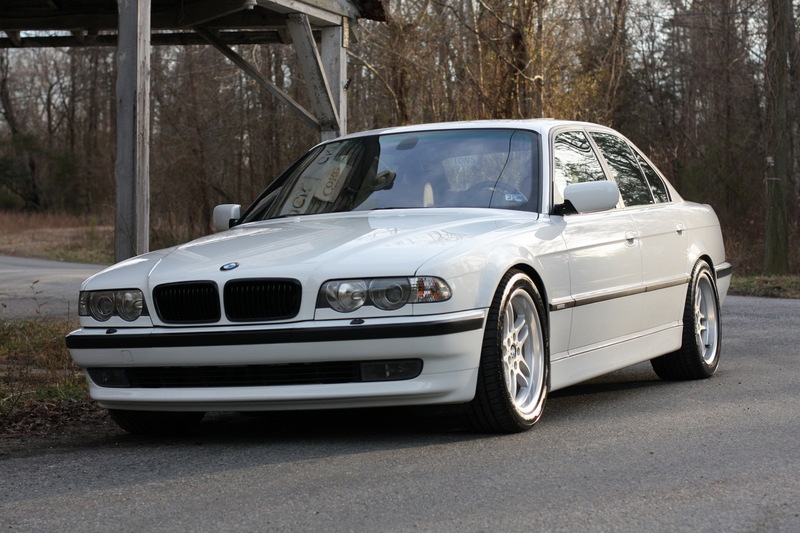 This modified E38 was featured in the January 2019 issue of Performance BMW and is now offered with over 240 pictures, a clean Carfax report, records since the seller’s purchase, and a clean Virginia title in the seller’s name. 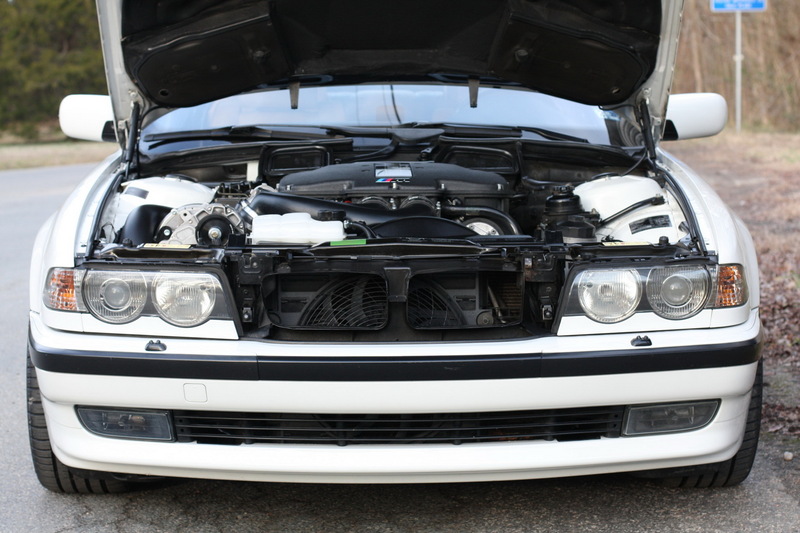 The condition of the Alpine White paintwork is shown up close in the gallery below, and the Carfax report is free of accidents or other damage. 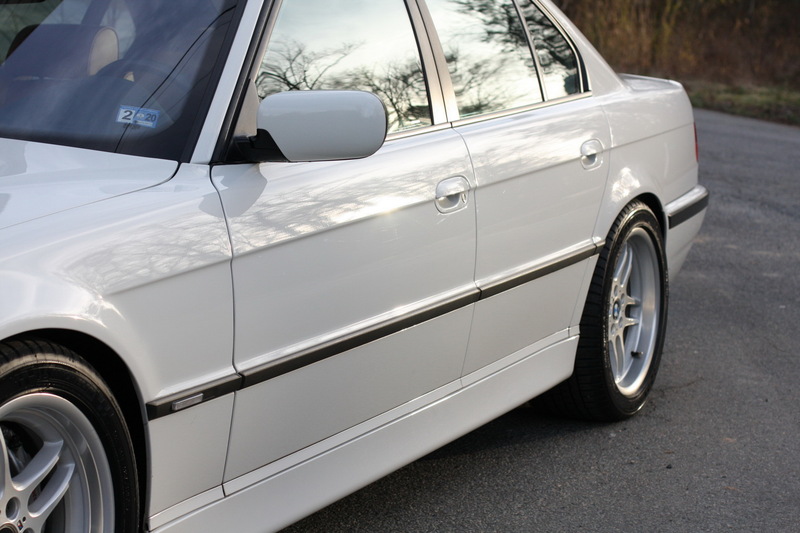 XPEL paint protection film is affixed to the front end, mirrors, door bottoms, and underside of the rear bumper. 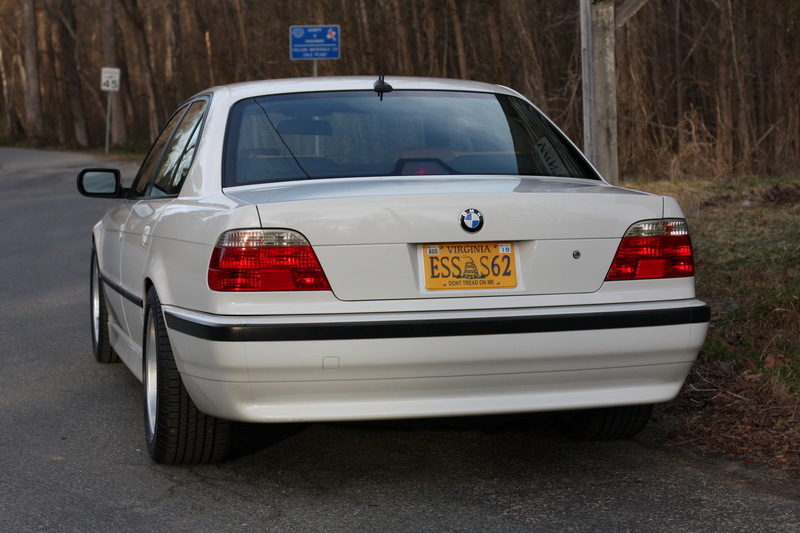 Noted flaws include a rust spot in the fuel door and scratches on the bottom of the rear bumper as well as chips on the front fender, right front door, and side window trim. 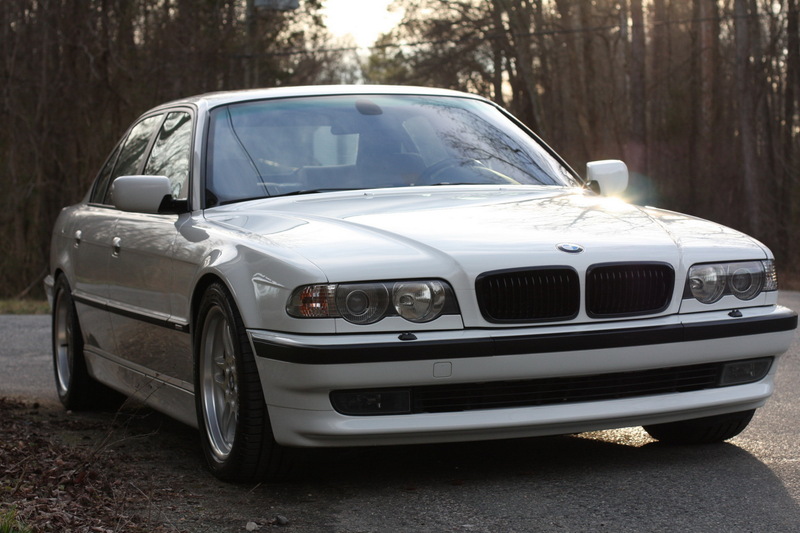 New trim components include gloss-black kidney grilles and clear corner lenses. 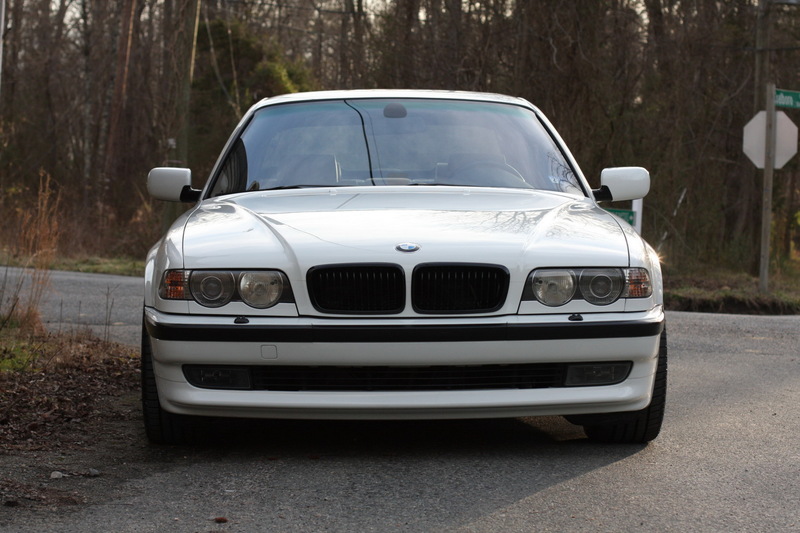 A replacement passenger headlight lens is included in the sale, and a new OEM windshield and surrounding trim were just installed. 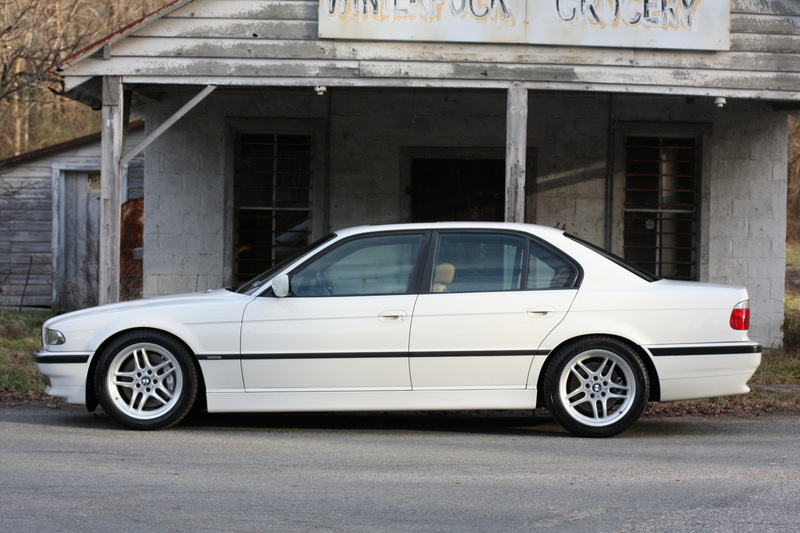 Stock 18″ M-Parallel wheels were recently mounted with new Michelin Pilot Sport A/S 3 tires. 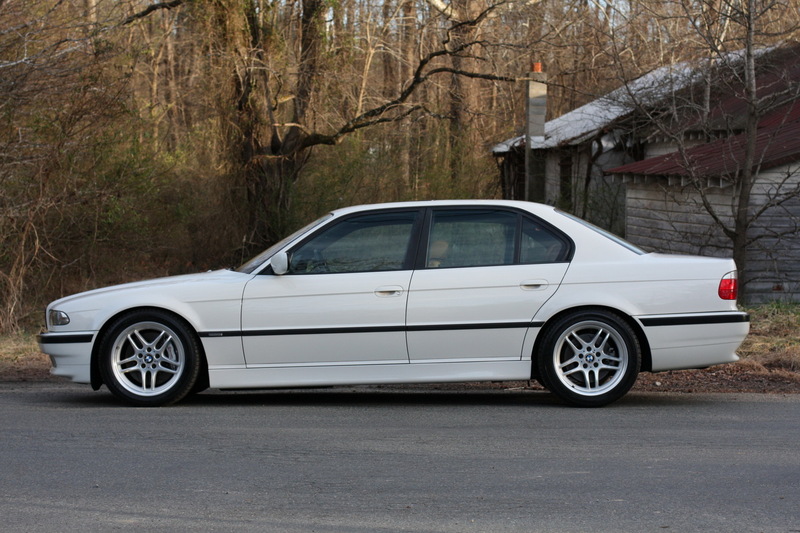 Suspension updates consist of Bilstein B6 HD struts and shocks, H&R springs, a modified 750i rear subframe, 750i rear axles, UUC front/rear sway bars, monoball front control arms, new rear control arms, and new sway bar end links. 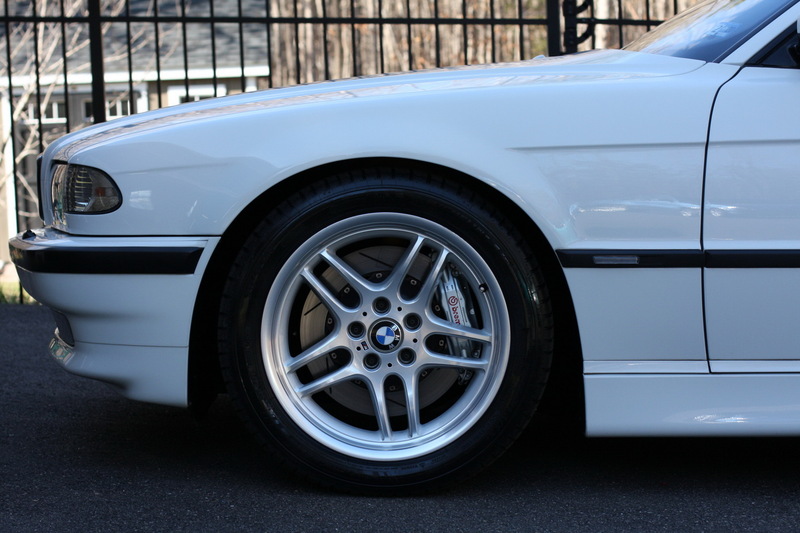 A Brembo GT big brake kit with new rotors, pads, and stainless steel lines is equipped up front, while rear braking is provided by 750i calipers with new rotors and pads. 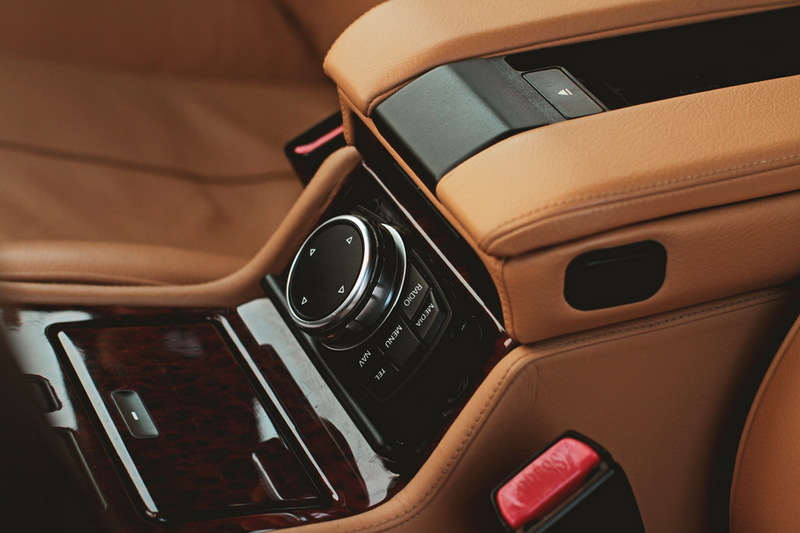 The seller had Fibrenew in Raleigh, North Carolina dye the tan leather sport seats in a caramel color. 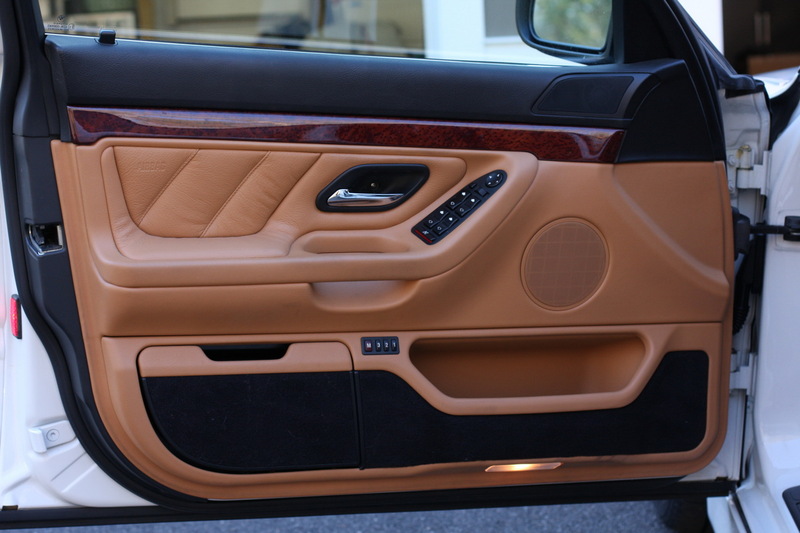 The car is equipped with manual sun shades for the rear doors and a powered shade for the rear window. 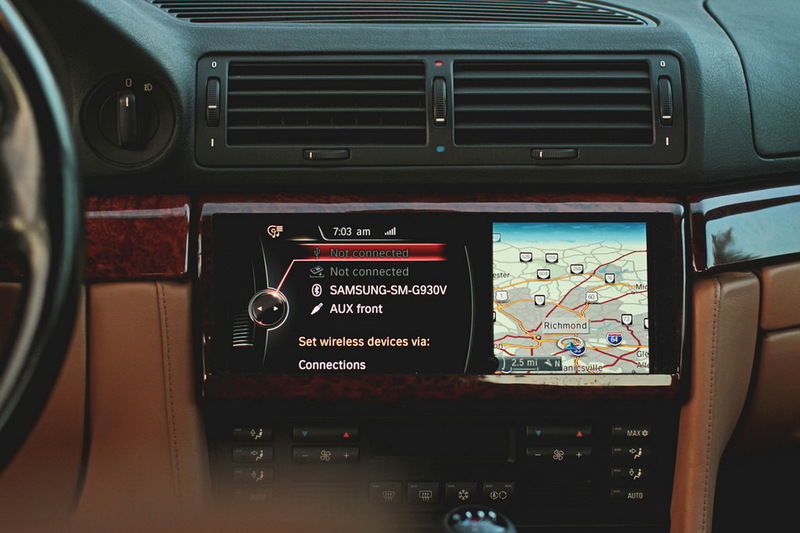 Modifications include a modern BMW navigation system with functional iDrive, a 750i lower dashboard and center console, black carpeting, a suede headliner, E39 M5 leather sun visors, E53 X5 grab handles, BSW speakers, and more. 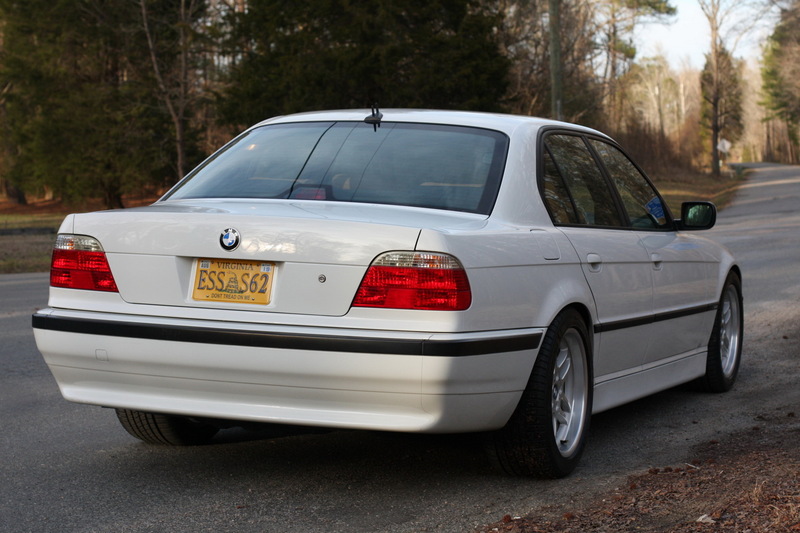 The passenger-side sunroof lift mechanism is inoperable according to the seller. 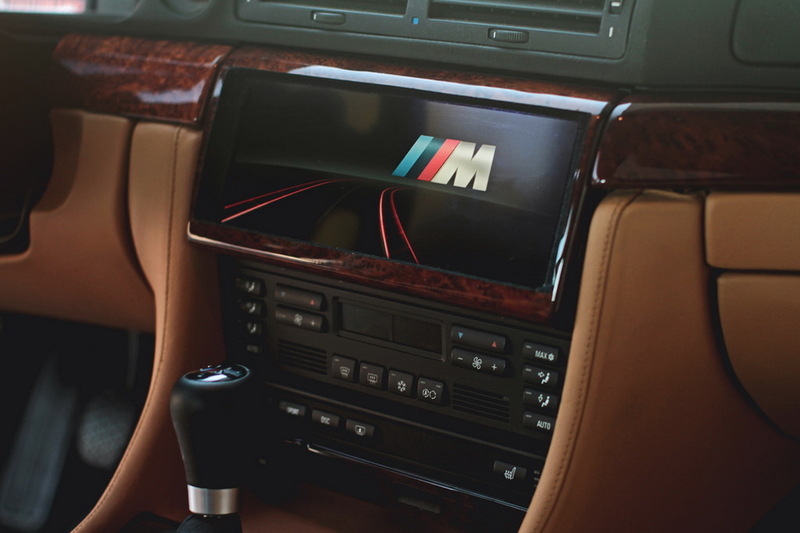 A steering wheel and modified instrument cluster from an E39 M5 have also been fitted, with the former featuring a functional sport button to control response of the throttle and Servotronic steering and the latter including white LED lighting. 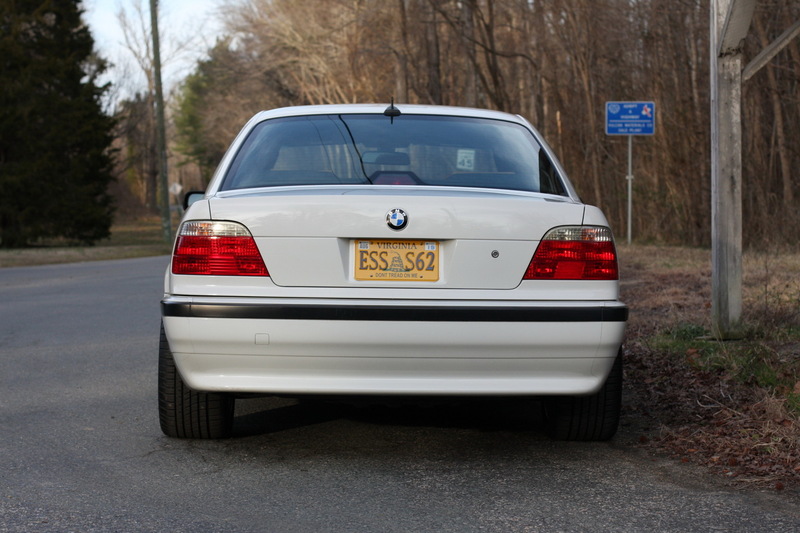 The digital odometer was reportedly modified to match the car’s 53,550 chassis miles. 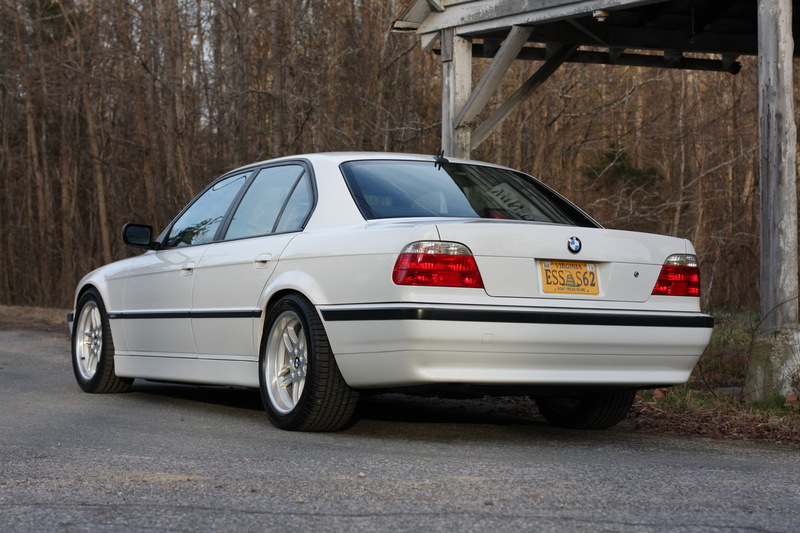 Approximately 16k miles have been added by the seller. 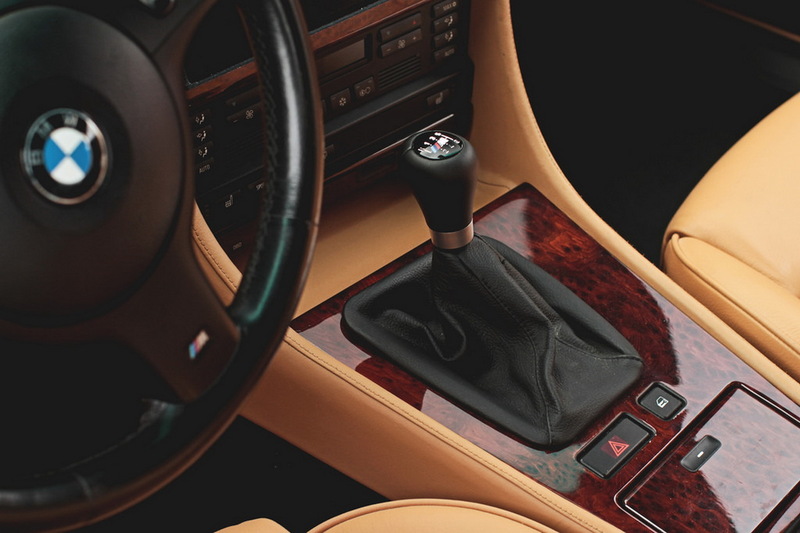 The E39 M5 6-speed manual gearbox was installed with a new flywheel and LUK clutch, a UUC dual-shear selector rod, an EVO short shifter, and a ZHP weighted shift knob. 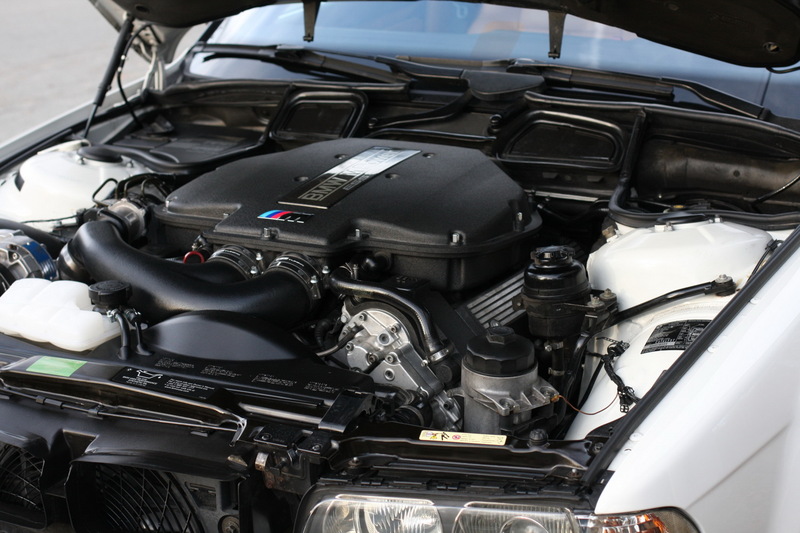 Engine and supercharger oil changes were recently completed. 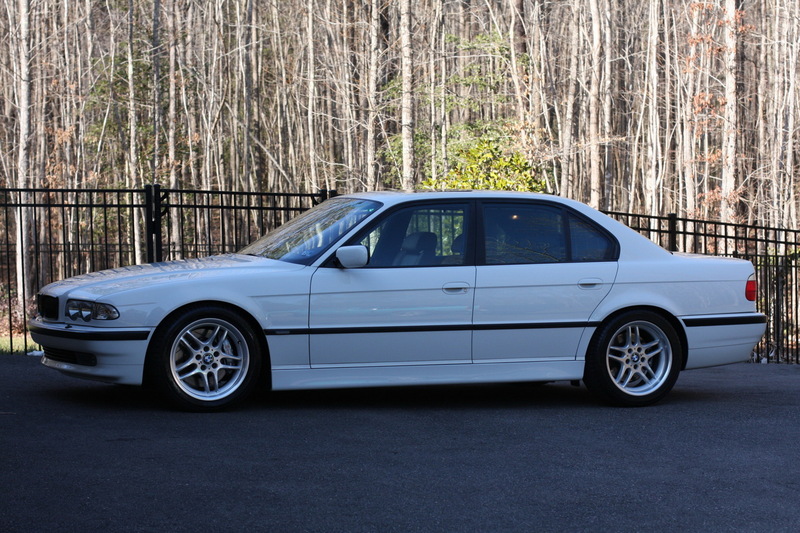 The seller has provided additional underside pictures in the gallery below. ENRI-57, dropbasket, Malavida79 y 19 otros les gusta esto. ¿Lo mejor de todo? El cambio MANUAL. Bueno, y el coche también, que es EL serie 7. 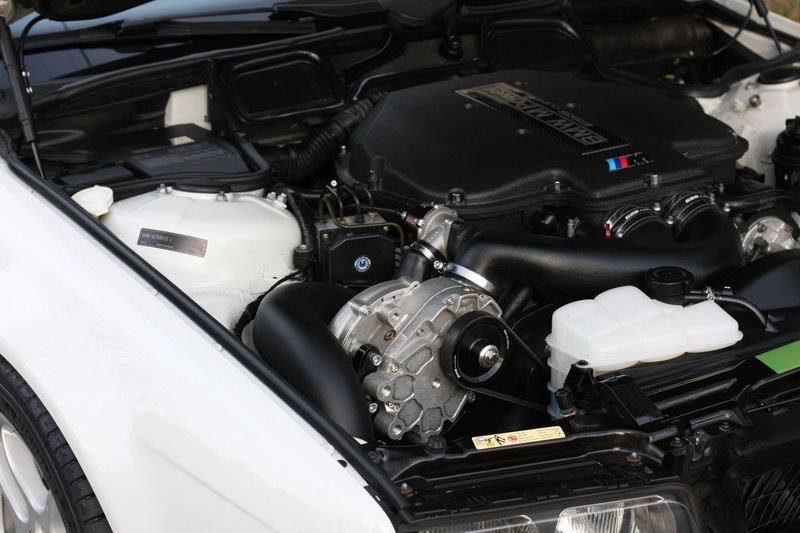 A Malavida79 y GELI///M les gusta esto. dropbasket, Malavida79, Alejandro y 7 otros les gusta esto. A Csar, Dyky73 y Curro les gusta esto. A Malavida79, jorge riaño y hector8 les gusta esto. No te puedo dar un me gusta. A jorge riaño y Sechs les gusta esto. 392C, *NANO*, josete_perez y 11 otros les gusta esto. En E38 también parachoques más prominente en versión americana ? A aberruntos le gusta esto. Estas modificaciones sí que molan joer, qué buen gusto!!! El serie 7 que tenía que haber existido, imponente. No. El único 7 que montó paracas US spec fue el E23. Estéticamente no la han cagado pero mecánicamente se les ha ido la pinza. Puedo entender meterle el S62 pero sobrealimentar ese motorazo es totalmente vano en ese coche y empezaría preguntándome que caja de cambios monta para soportar ese empuje. 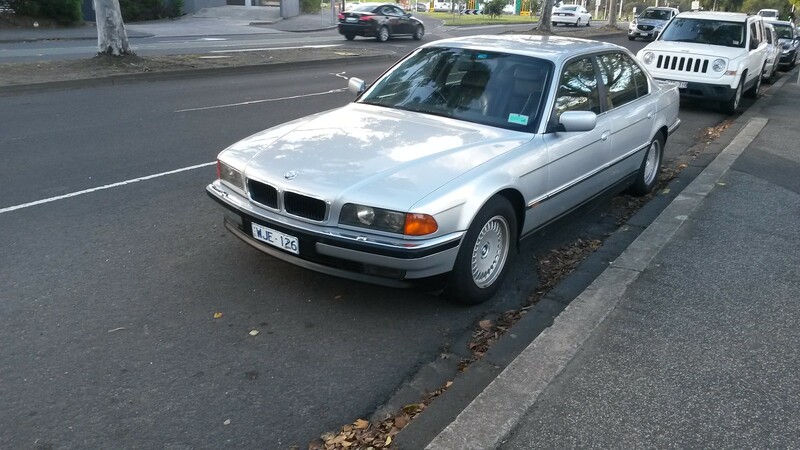 A mi me habría gustado más renovar el 740i sin modificar nada, ni siquiera las llantas. Cada vez me gustan menos la Paralell. No lei todo el tocho. Dudo que esa caja soporte mucho más par que el que entrega el motor de serie. Y lo que hace la sobrealimentación es precisamente elevar el par. La base perfecta... y la modificación, tela marinera!! Por ponerle una pega, el color blanco, pero vamos... esta tremendo!! Cuánto más sentido tienen en ese coche unas llantas bien cerraditas. A Bimmer y Juankmen les gusta esto. Aparentemente se ve bien hecho. madre mia que pasada! Me ENCANTA! Brutal la verdad. Ahora, le hubiesen metido un DKG del M5 F10, o el conjunto y lo bordan! Muy bonito. Se puede mejorar, otro color, otras llantas y queda de 10.